The final border marker from the Republic of Texas still stands near Carthage. The independent Republic of Texas had a good 10-year run in the middle of the 19th century. From 1836 to 1846, the Lone Star State wasn’t a state at all but its own country. It had its own flags, currency, capital, and even its own embassies. In order to show foreigners that they were entering sovereign land, granite markers were driven into the ground along the republic’s borders. Today there is only one of these boundary markers still on the job. Dating back to 1840, this last of the known markers is 10 miles southeast of Deadwood, Texas (yes, it really is called Deadwood) on Farm-to-Market Road 31. Its role is unofficial now, except to let you know when you’ve left Louisiana and give you a little history of the old republic and the disputed border along the Sabine River. There were many of these stone markers at the time, but this one, which is on the National Register of Historic Places, is the only one that hasn’t either disappeared or sunk into the river. The granite pillar is 9 inches square and sticks up about 4 feet from the ground. An accompanying plaque notes that it’s actually 10 feet long, which means it’s buried several more feet—a feature that has kept it from being stolen, at least on one reported occasion. Three sides are engraved, providing all the necessary details: Merid. 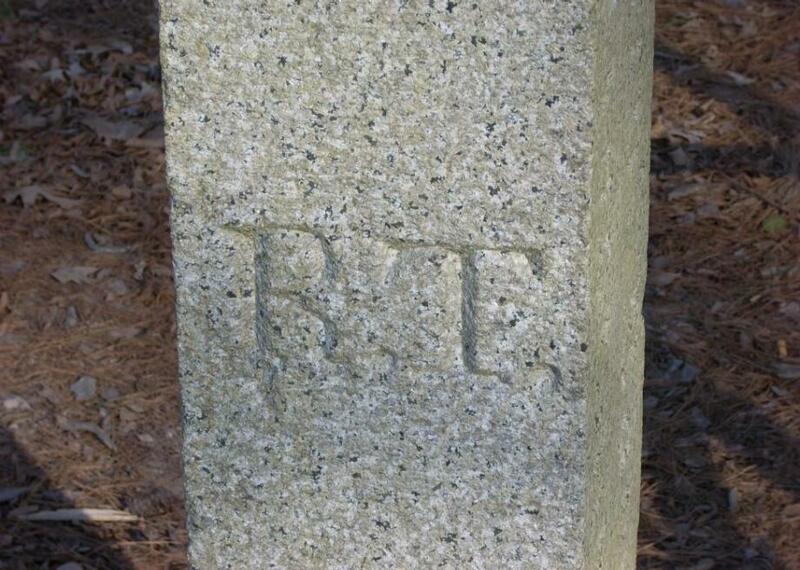 Boundary, Established A.D., 1840 (the marker is dated 1840 but was actually planted in 1841) on one side, and sides two and three simply say U.S. and R.T., just to make sure you knew which side you were on.